But which ones? 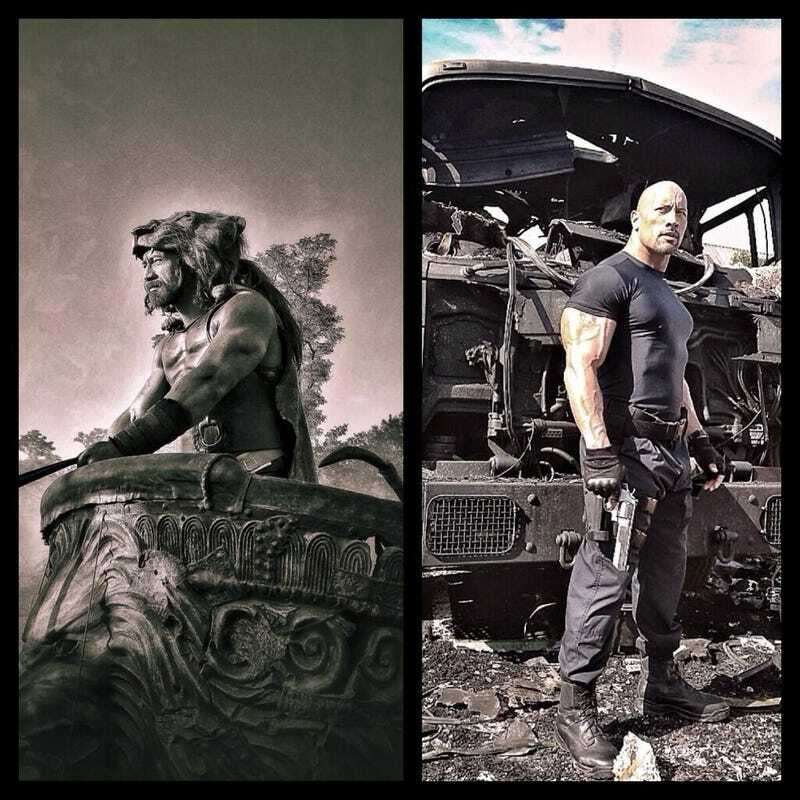 On the one hand, we have this first great picture of Dwayne Johnson as the Greek demigod himself, shrouded in the skin of the Nemean lion, looking like the son of Zeus stepped down from Mount Olympus itself. On the other hand, this movie is by Brett Ratner. Is this a test from the gods? Okay, chances are Brett Ratner will mangle this movie no matter what, but damned if the Rock doesn't look exactly like I always imagined Hercules as Iimagined him as a kid, reading and re-reading all the Greek mythology books my library had, over and over again. I know it's foolish to hope, but still — I suppose Pandora managed to trap it in her box for a reason.